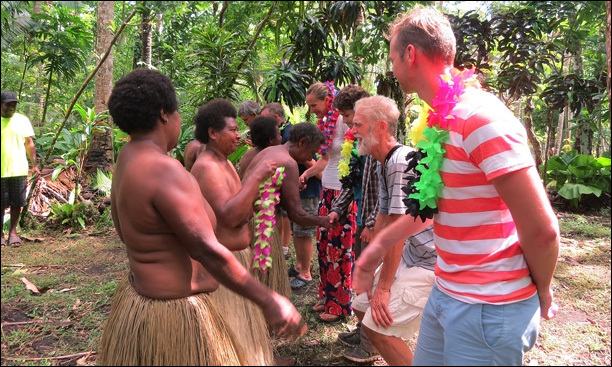 A stroke of convenient timing meant that the Blue Planet Odyssey cruise through Vanuatu was able to include a visit to Ambrym, and a chance to experience the 3 day Back to My Roots festival which has been put on by the village of Olal for the past 15 years. Visitors are welcome to come and watch, but the festival is first and foremost a local celebration. Men who wish to advance up the ladder of chiefly gradings can pay money and pigs in order to be ‘promoted’, and a series of traditonal rites take place over the festival days. 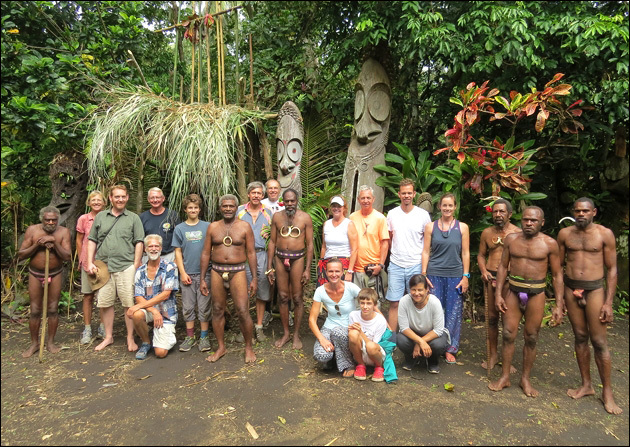 It was fascinating and enlightening to witness how on this island the ni-Van people have kept their ancient traditions alive. 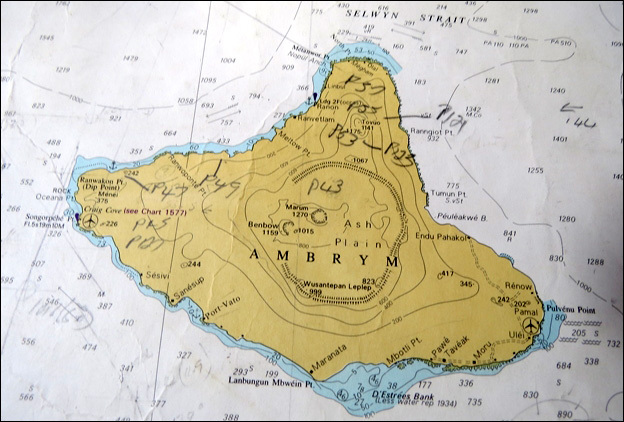 Ambrym Island is known for its traditions and its live volcanoes. The sailors receive a warm welcome. 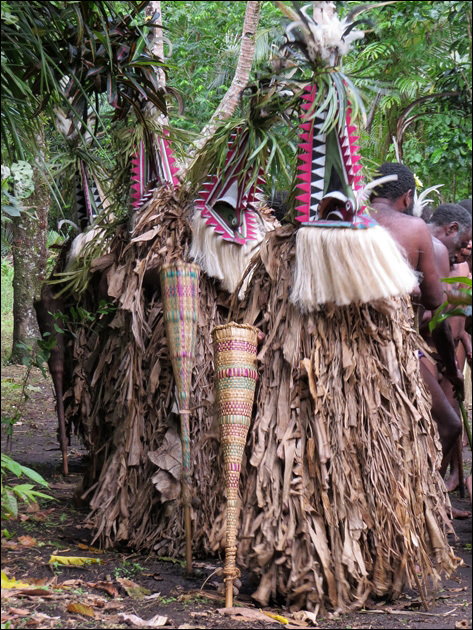 The men perform dances dressed in traditional nambas with green leaves for cover and decoration. 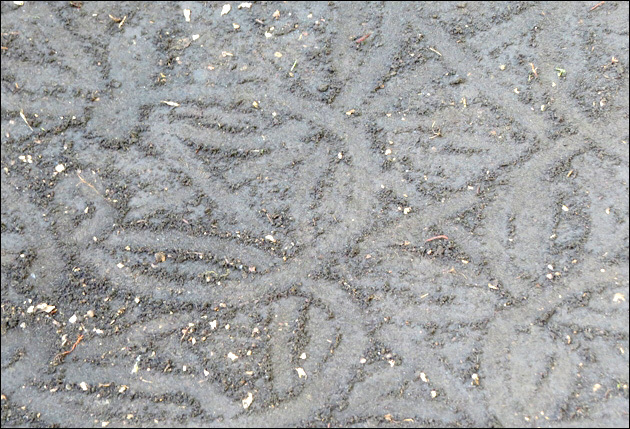 Elaborate designs are drawn swiftly and surely in the dirt or sand. 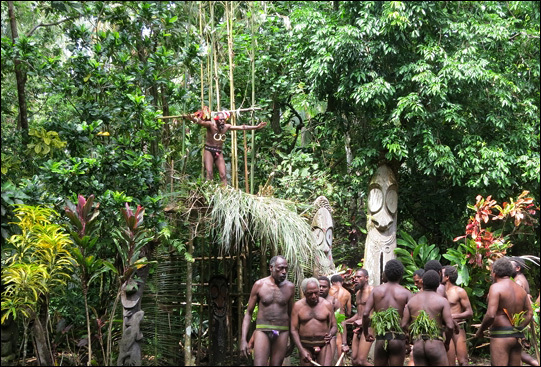 As part of the chief grading ceremony each candidate in turn must climb a bamboo structure and dodge rocks and coconuts thrown by the men below. 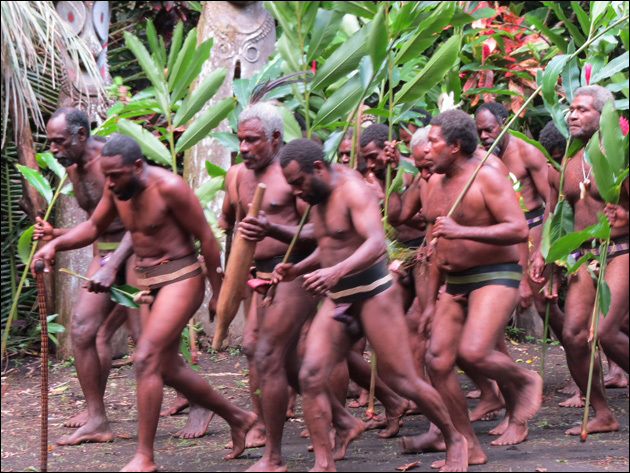 The festival culminated with the Rom dance, performed by men dressed in elaborate costumes the making of which remain a secret to all but a select few. The Rom dancers on the final day. 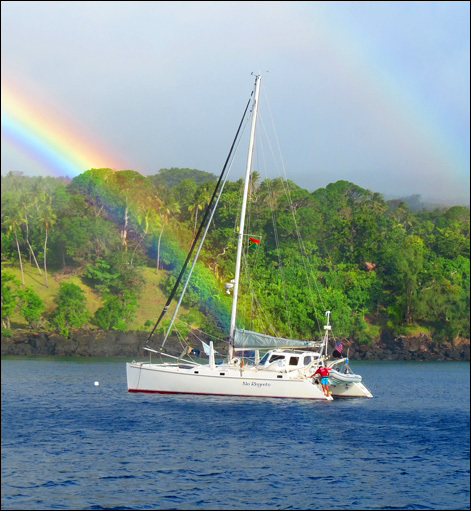 Perhaps the gold at the end of the rainbow can be found on NO REGRETS.